Quick and easy one pot mac and cheese recipe, made with simple ingredients on stovetop. It’s a delicious 30 minute weeknight meal and super cheesy & creamy! 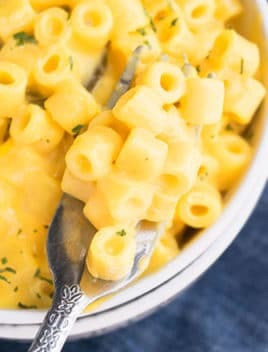 My son loves this one pot mac and cheese! I think it’s even better than my family recipe and trust me… I don’t say that often…lol. 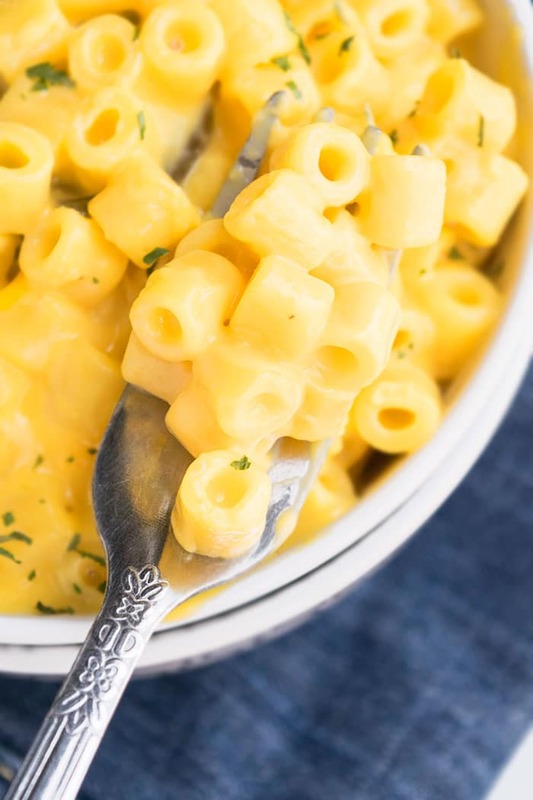 This creamy mac and cheese is the best! This is truly the creamiest pasta you will ever eat, thanks to all that full-fat mozzarella cheese, cheddar cheese and whole milk. How do you make homemade mac and cheese? 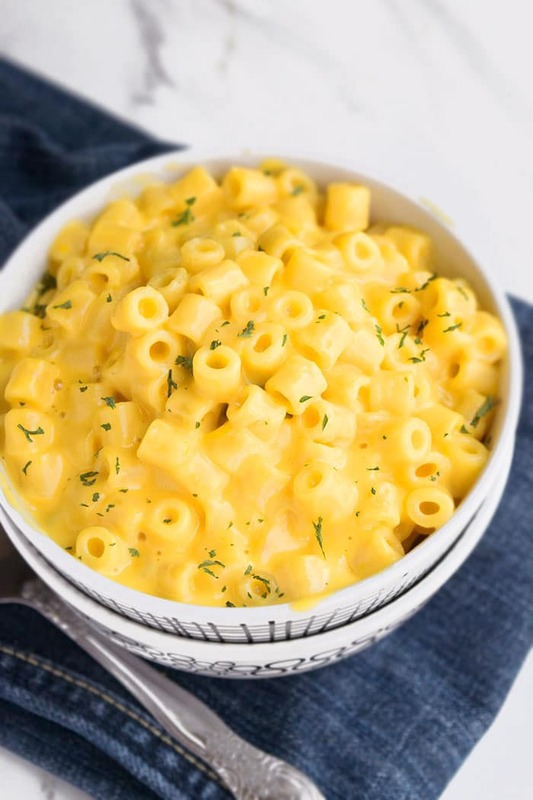 How to make mac and cheese? Add pasta, milk, water, butter, mustard, seasonings in a large pot. Cook until macaroni is fully cooked. Add mozzarella and cheddar cheese and mix until fully melted and creamy. How do you make cheese sauce for macaroni? Heat milk in a nonstick saucepan. Add cheddar cheese, mozzarella cheese and seasonings of your choice. 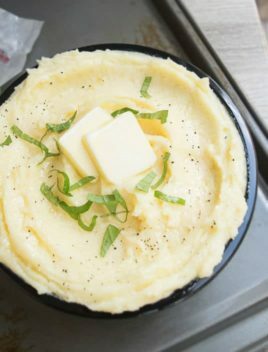 Cook until cheese is fully melted and there are no lumps and sauce is thick and creamy. The best cheese is sharp cheddar cheese, hands down. For cauliflower mac and cheese, use cauliflower cheese sauce. I, personally, don’t like it but it’s a healthier alternative. For smoked mac and cheese, boil the pasta and prepare the cheese sauce, using ingredients below. Mix everything together in an aluminum pan. Place it in a smoker and smoke for 2 hours at 225 degrees. 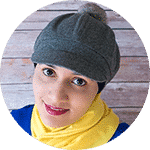 For best baked mac and cheese recipe/ creamy baked mac and cheese/ homemade baked mac and cheese/southern baked mac and cheese, follow the same steps below and add everything in a an oven-safe dish. Top off with more cheddar cheese and crushed Ritz crackers or breadcrumbs. Bake at 400 degrees for about 20 minutes. For fried mac and cheese, prepare mac and cheese and chill it in the fridge until firm. Them, use a cookie scooper to make balls and place them on a cookie tray and freeze until firm. Coat them in egg wash and cover in breadcrumbs and fry until golden brown. For buffalo chicken mac and cheese, mix in cooked shredded buffalo chicken or sliced buffalo chicken pieces into this pasta. For mac and cheese bites, prepare the pasta, as outlined below. Then, place spoonfuls in a muffin tray, sprayed with oil. Top off with cheddar cheese and breadcrumbs. Bake until cheese is bubbly. For vegan mac and cheese, use vegan milk (almond milk, coconut milk, soy milk, cashew milk) and vegan cheese. Use your favorite cheeses. I like to use a combination of cheddar and mozzarella but my kiddo loves the Mexican cheese blend. Adjust the amount of salt, pepper, garlic powder, ginger powder, based on your preference. This mac and cheese will be slightly runny but it will continue to thicken as it cools down. So, don’t worry about it. Garnish with basil, parsley or chives or it can be omitted too. Use whole milk and full fat cheese for maximum creaminess and flavor. Don’t use low-fat or fat-free milk or cheeses! Use small pastas like elbows, daltini or shells. If you use other types of pastas, the quantity of milk and water will probably have to be adjusted. Start with 1 cup water and add more, as needed. This is because different brands of pastas have different cook times. Quick and easy one pot mac and cheese recipe, made with simple ingredients on stovetop. It's a delicious 30 minute weeknight meal and super cheesy & creamy! In a large nonstick pot, add milk, 1 cup water, pasta, salt, pepper, garlic powder, mustard, butter and mix. 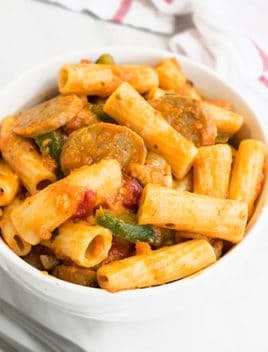 Cook over medium high heat, mixing frequently to prevent pasta from sticking to the pot OR forming lumps OR boiling over. Once pasta is fully cooked, turn off the heat. Stir in cheddar cheese and mozzarella cheese and mix until all the cheese is melted into a creamy, cheesy sauce. Garnish with dried parsley or chives or basil. Enjoy! This tastes best when served fresh but leftovers can be stored in a sealed container in the fridge for up to 2 days. 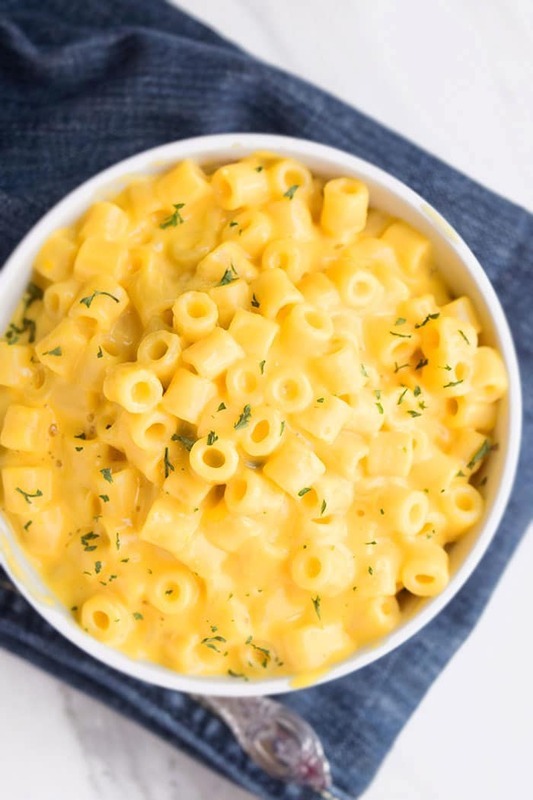 I love one pot meals and I love mac and cheese, so this is a must make! 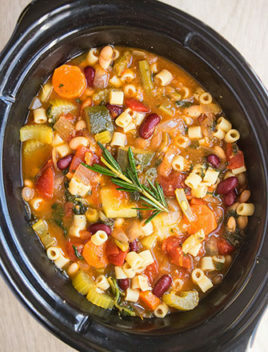 I love how easy these one pot dishes are to make! I can’t wait to try your different cheese options! This is such a handy recipe! There is nothing better than mac and cheese. You nailed this recipe. It looks so cheesy! Would be a new favorite for my kids! 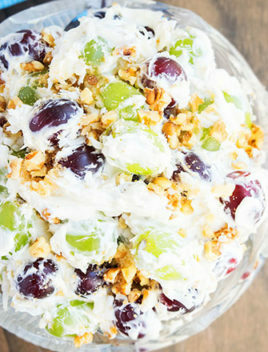 This looks SO incredibly creamy!